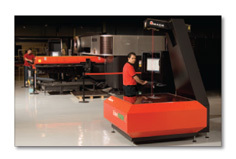 FabriVISION maximizes the throughput of your turret and laser by eliminating delays in the inspection process. reliable inspection process while increasing your shop’s productivity. Our latest generation High-Definition Laser projector scans parts in as little as 12 seconds. The special HD Laser projector is designed to be virtually maintenance free. 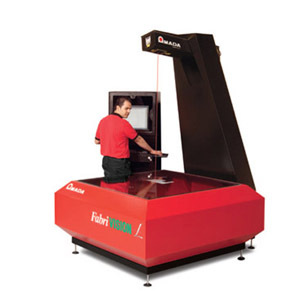 FabriVISION automatically self-calibrates before scanning – ensuring precise scans every time. while precise part inspection continues like clockwork. filtration management, and a power-filter unit to protect your investment. tops increase convenience and flexibility. 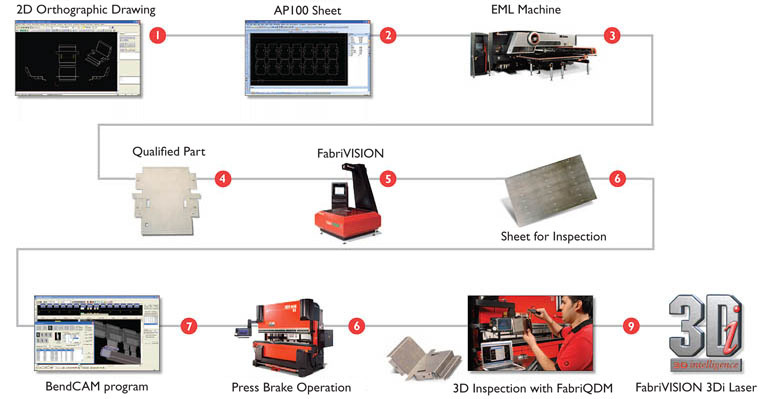 Since FabriVISON is fully integrated with AP100US, inspections can be performed by the machine operator right at the production station. A full scan is completed in seconds while comparing each measurement to CAD specifications. This reduces the time between CAD drawing and first article inspection up to 96%. 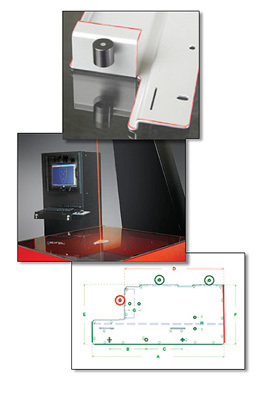 FabriVISON detects a part’s form features by utilizing its built-in scan height adjustment function. 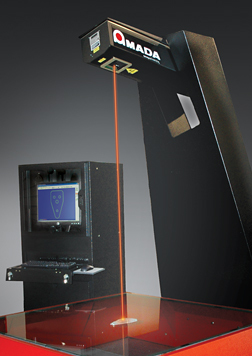 Variable height scanning allows the operator to precisely measure holes within formed and/or embossed parts. 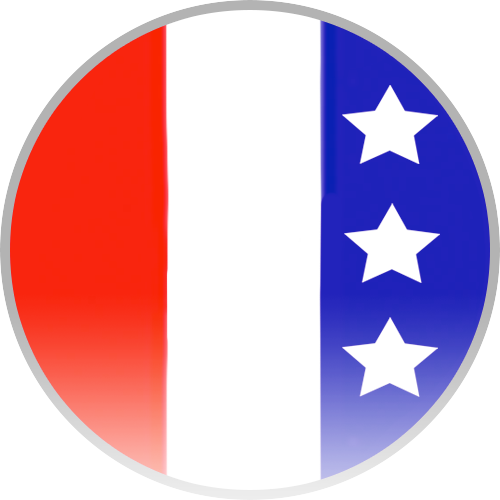 FabriVISION is able to qualify form features by projecting an outline of the form directly onto the part surface while the part is being visually inspected. 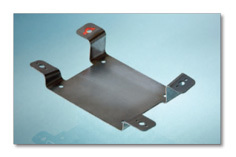 This enables the operator to verify the proper placement of the formed feature. 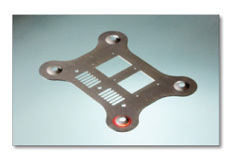 The scanning process captures the complete profile of existing parts or templates at laser speed. Then, the data is stored in AP100US PRT files or DXF files. The software also allows you to manipulate the scan data and part profile on-screen so that you can optimize the quality of the CAD model. Within seconds of completing a scan, FabriVISION generates a detailed report from the inspection file to your exact specifications. This automatically-generated color report, records data files of the scanned part and includes any variances from the CAD data. 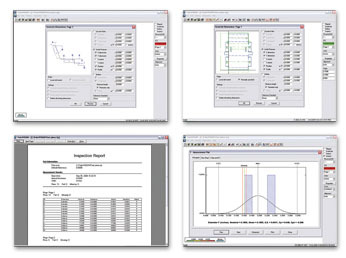 SPC functions also include charting data in a Histogram, Run Chart, and X Bar/Range Plot for specific analysis of part production processes over a specified period of time. documentation to meet requirements for ISO and QS reporting in addition to data files you can easily export to common Microsoft Windows® based programs. The simplicity and speed of FabriVISION combined with it’s automated documentation capabilities, enable you to upgrade your quality process with minimal cost, training or effort. FabriVISION offers an array of features that can increase your shop’s reach and service to clients..
3Di can measure heights up to 8?. 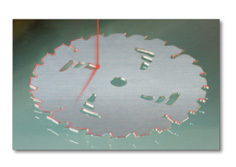 Form features such as emboss and bridge lance are easily measured using 3Di. Edge-to-edge measurement at variable heights is supported. Critical hole-to-hole measurement is a simple mouse-click away. Using the latest interpolation algorithm and height scan technology, 3Di can account for and correct “warpage” caused by processing – producing improved flat inspection. Angle measurement relative to the scanning surface is achieved through the 3Di plane recognition feature.